Pinfold Cottage was built circa 1865 and is situated in a select conservation area of York. The City of York is 1.5 miles away, and is a pleasant riverside walk, or a short bus ride (buses stop every 10 minutes). 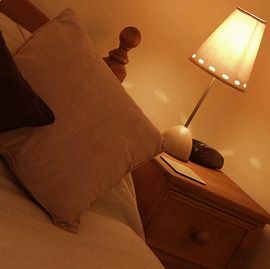 We have 5 ensuite rooms and all have TV, DVD/CD player, Freeview, hospitality trays, hairdryer, electric fan and radio alarm clocks. Breakfast is included in the room rate, and is served in our comfortable Dining Room. There is a great choice which caters for most diets, including low fat and vegetarian. We also have a children�s menu, and plenty of things to keep the kids amused!! Advance notice of any special requirements will ensure that we can fully meet your needs. A credit card number will secure a booking if you wish to go ahead and book. We do not take a deposit. Private off street parking, free of charge. Situated in a select conservation area of York. Disabled Facilities: There are disabled facilities. We have a ground floor room. Not really suitable for wheelchairs, but ok for those with minor mobility problems. Special Diets Provision: Special diets are catered for. Vegetarian, low fat, and any (with prior notice given). When leaving the train station cross over the road and head for the stop for the number 7, red line Park & Ride bus going to the Designer Outlet. The buses run every 10 minutes. Ask the driver to shout you at the Fordlands Road stop, which is right outside our door. If you are planning on going back to the centre that day, it is best and cheapest to ask for a 'Day Rover' as you can then use this ticket all day on any FirstYork bus. If you prefer to get a taxi, it should cost no more than £5.00. 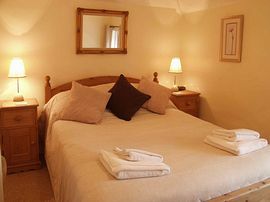 Double/Twin rooms £30.00 per person per night. 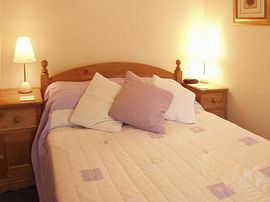 Single Occupancy of a double room £40.00 per night. Children £10.00 per child per night, when sharing with 2 full paying adults. Open all Year round (except Christmas period).